"It's Not Just About Football, It's About Pride Inside!" The movie Mean Machine is a comedy drama that was made for a primarily British audience. This film stars Vinnie Jones who was once a well known football star in Britain. The main character of this film is Danny who is known as the Mean Machine. He was the former capitain of the English football team. He was caught fixing a match between England and Germany and got banned from planning the game and working in any position that is involved in football. He is also sentenced to spend three years in prison for the assault of a police officer upon his arrest. When Danny was arrested he was drunk and driving a car in an erratic manner. In prison Danny finds himself in trouble. He is often beaten by the guard for being disrespectful and not following the rules. He is approached by the governor of the prison to coach a football team for the warden. Danny does not want to cause trouble with the other prisoners so he offers to coach a team of inmates who will take on the warden’s team. He is allowed to do so and assembled a team. Danny is able to get the inmates to respect him when he defends himself from a beating he is getting from one of the guards. He is even able to get a maximum security prisoner to play on his team. While this is happening the governor of the prison finds himself in trouble with a bookie owing him a lot of money. He decides to try to recover the money by betting on the guard’s team. He even goes as far as trying to have Danny killed by a bomb but another prisoner dies instead. On the day of the big game the prisoners are willing. The governor tried to offer Danny a deal to throw the game. He takes the deal but as the game goes on starts to think twice. Danny ends up helping the prisoners win the game. While Danny does not get out of jail early he earned some respect from the guards. The bookie still wanting his money blows up the governors car and the governor is warned there will be big trouble if he tried to do anything in retaliation to Danny or the inmates. 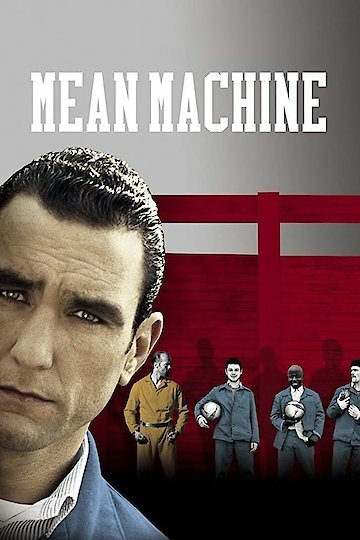 Mean Machine is currently available to watch and stream, buy on demand at Amazon, Google Play, iTunes, YouTube VOD online.